How can I protect myself and my children during my separation or divorce? If you are afraid of your spouse and think you or your children are in immediate danger, call the police right away. You have the right to feel safe and to expect help from the police. It is their job. If you are afraid for your safety or the safety of your children, but you are not in immediate danger, call the Victim Information Line toll-free at 1-800-563-0808. The Line is open 8:30 a.m. to 7:30 p.m., Monday to Friday. Through the Victim Information Line, you will be referred to a Victim Services (Prince George Victim Services call 250-561-3329 - in emergency call RCMPolice at 250-561-3300 - or call 911) worker in your community, who can tell you about how to get a protection order while you are going through the process of separation or divorce, and refer you to other community resources as needed. A Family Justice Counsellor can also tell you about protection orders, and you may want to see a lawyer for legal advice. What can the police do to help me? In British Columbia, it is a criminal offence (a crime) for anyone - including your spouse - to assault you or your children, or to harass or stalk you, to threaten you with bodily harm or to damage your property. If you feel afraid or threatened by your spouse, you need to go to the police right away. Once the police have talked to you, they will decide if there is enough evidence to prove that your spouse has committed a criminal offence. have to go to court. your legal rights (including the right to counsel and the right to apply for legal aid). Duty counsel can also represent you at a bail hearing. If there's time, duty counsel can help with a guilty plea. Who is eligible for duty counsel services? You don't have to be financially eligible to get criminal duty counsel services. However, you must meet LSS coverage and financial eligibility requirements to receive ongoing representation. Look in the blue pages of your phone book under "Government of British Columbia — Court Services." BC Public Interest Advocacy Centre (BCPIAC) is a not-for-profit law office located in Vancouver, Coast Salish Territories. Our mission is to promote equality, fairness and social inclusion by providing legal representation on systemic social and policy issues. Our current areas of focus are improving access to welfare and legal aid, and addressing energy poverty and the cost of utility services. Find out more about these areas. A significant part of BCPIAC’s mandate is to advocate on behalf of disadvantaged groups to obtain access to justice and equality before the law. Click above link for other countries. · Community Legal Assistance Society B.C. · Legal Services Society B.C. This website provides general information about family law in British Columbia. It has information for people considering changes in their family relationships such as separation and divorce, and may be of interest to people thinking of marrying or living with someone in a marriage-like relationship. British Columbia is working hard to ensure the right information and services are available for people looking for solutions to their family law problems. The quick links below may answer some of your questions. If you do not find what you are looking for below, we encourage you to explore this website further to learn more about family justice in B.C. What's the difference between peace bonds and family law protection orders? With medication, housing, medical bills, rent, utility bills, child care, education, and mortgage, among others. 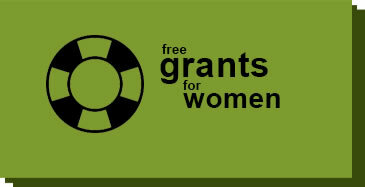 You can search for grants in all popular cities. Divorce costs are often based on each individual case and differ from solicitor to solicitor. At Pinnington Law we offer an open approach with fixed fee rates. We will speak directly with you regarding your situation, the divorce, and the potential financial situations that might occur as a result of your divorce. Usually, the difficulty of the divorce case determines the fees charged. For example, someone who is hiring a solicitor to help fill out paperwork and file with the court system but has an uncontested divorce, generally takes less time for the preparation and actual court situation. A person that may have a contested divorce or trouble getting in contact with their spouse might require more of our time. These differing situations can influence the fixed fee which we will quote you. Typically, we offer a cost-effective fixed fee in order to help you proceed with the divorce, especially when it simply involves preparing the divorce papers both parties will need to sign. This can include any court, letter writing, and finalisation procedures as well.